Updated: Congratulations to Lauren Hankins! 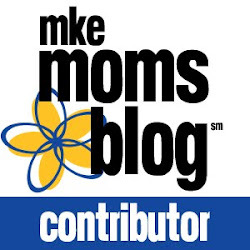 She's won the four tickets to a Sesame Street Live show in Milwaukee. Last year, we took Callum for his very first Sesame Street Live experience. To be honest, I was not really looking forward to it. I thought it would be a situation where I would be desperately searching for a cash bar. But, it was totally the exact opposite. We had such a wonderful time and we all enjoyed the show so much. In fact, we left with the soundtrack and I am not even joking when I say that we listen to it every single day in the car. I can not wait to go again this January. The songs were so much fun and the I could not believe the dance moves of the actors in those big (and I can only imagine, very hot) costumes. I am so thrilled to once again have four tickets to giveaway to one of you to the upcoming shows in Milwaukee! 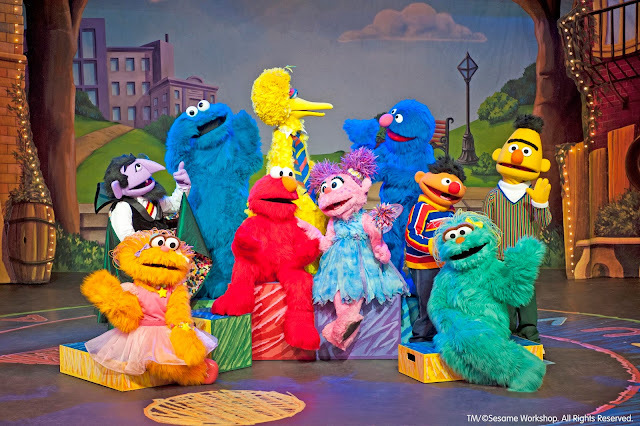 Sesame Street Live's "Elmo Makes Music" will be at the Milwaukee Theater on Saturday, January 14 and Sunday, January 15. In "Elmo Makes Music," the new music teacher’s instruments go missing. Elmo, Abby Cadabby, Big Bird, and more come to the rescue and discover instruments they never knew existed. Children learn that everyone can make and enjoy beautiful music together! The show runs for 90 minutes with a 15-minute intermission. When we went last year, Callum was just over two and was definitely entertained the whole time. He had no problem at all sitting through it. In fact, I'm pretty sure he clapped and danced the whole time. In addition, after we saw the show last year ("Make a New Friend"), we had so much to talk about with Callum. What I thought would just be a fun couple hours of entertainment, turned in to an educational opportunity that we still talk about today. I really can not say enough wonderful things about these shows, and if you've ever taken your kids to one, I'm sure you'd agree! If you're interested in winning a four-pack of tickets to a show on either January 14 or 15 in Milwaukee, enter using the Rafflecopter below. Giveaway closes next Monday! To learn more about the show or to purchase tickets, click here. Love Sesame Street!! Fingers crossed! My Favorite Maternity Look and a Giveaway!